The RAP-370-RBU consists of the RAM ROD® Light-Speed™ fishing rod holder, RAM ROD® Revolution ratchet arm with single open socket and 2.5" diameter round base that contains the universal AMPS hole pattern. 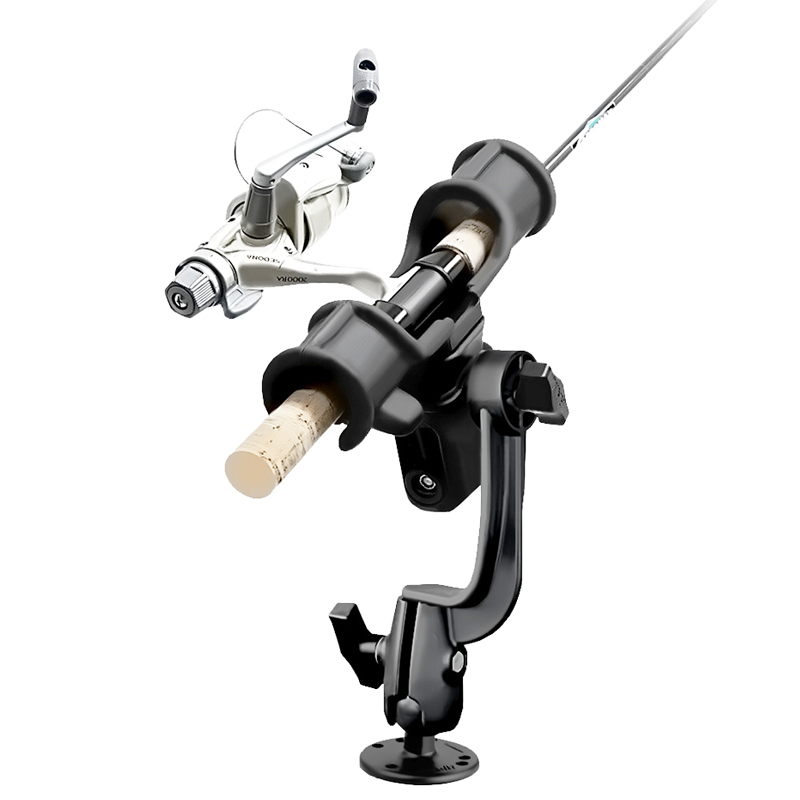 Offering the patented RAM rubber ball, socket and ratcheting feature, you can rotate the rod holder 360 degrees, while tilting the rod holder forward and back for the optimum fishing angle. . The RAM ROD® Light-Speed™ is another innovative product in RAM’s long list of high quality, industry leading fishing products. 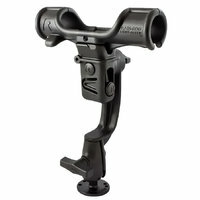 Ideally suited for spinning reels and bait casting reels, the Light-Speed rod holder provides smooth action when inserting and removing the fishing rod, yet holds firm in rough water or while trolling. 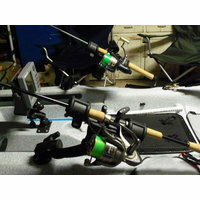 The spring loaded design enables rapid removal of the rod and reel when a fish is on, and offers easy placement of the rod in the rod holder.